Chocolade. Tskolate. Le Chocolat. Cioccolato. Choklad. Chocolate. No matter what language you say it in nature’s dessert has a distinct way of sounding delectable. And consumers around the world agree, not only does it sound delectable but it tastes it too. Being celebrated with events thrown in its honor, here are the top 5 chocolate festivals around the world. It may come as no surprise that the largest chocolate festival in North America is held in this great city. Every November, people gather to see the unique ways chocolate is used in this festival. Not only is there a kids chocolate zone, but there is an elaborate annual chocolate fashion show as well. 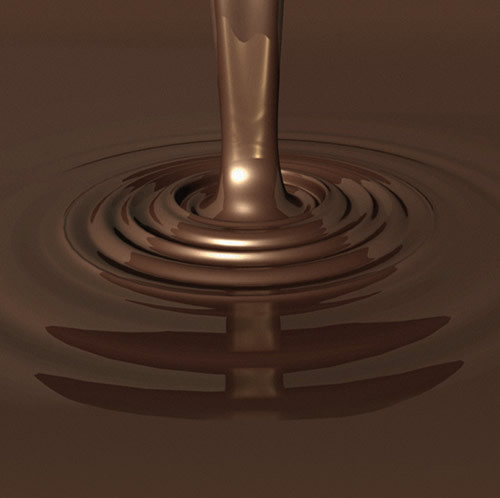 Be sure to also check out fine chocolate sampling, cooking demonstrations and book signings. Adult cost is $28 in advance and $30 at the door. Children (5-12) are $8 and children 5 and under are free. November marks the month for the festival held in the location where the world’s finest gourmet chocolates are made. And it is also known to play host to this large chocolate festival. Goers can go through a chocolate museum, view chocolate art and sculptures, taste free samples, and children can paint with chocolate. And if you get a chance to go, be sure to check out Godiva chocolate since Belgium is the home to the world’s most popular fine candy. Considered the largest chocolate festival in the world, this festival hosts over 500,000 people every October. It was established in Umbria in 1994 and has been going strong ever since. If you’re able to attend this event, look for activities like the cooking classes, chocolate tasting, live entertainment and chocolate sculpting. They also hold an annual Eurochocolate Awards ceremony, which is a fun and interesting way to see how chocolatiers use this tasty ingredient in unique ways. With over 20 years of chocolate celebrating under its belt, St. Stephens was officially named Canada’s Chocolate Town in 2000. And this week long festival in August proves why. This festival boasts unique activities such as a chocolate museum, chocolate theme brunch, treasure hunt challenge, blindfolded taste test contest, chocolate lover’s choctail hour, international homecoming festival parade, and much, much more. For a full listing of the daily activities and to find out how much each event costs, visit their website. August in Australia means a festival of chocolate. But this is no ordinary festival. Creators designed this event to give consumers the opportunity to not only taste chocolate, but to actually learn about it through hands-on chocolate education classes and seminars. There is also a kids chocolate class, as well as a wine and chocolate pairings class for adults.